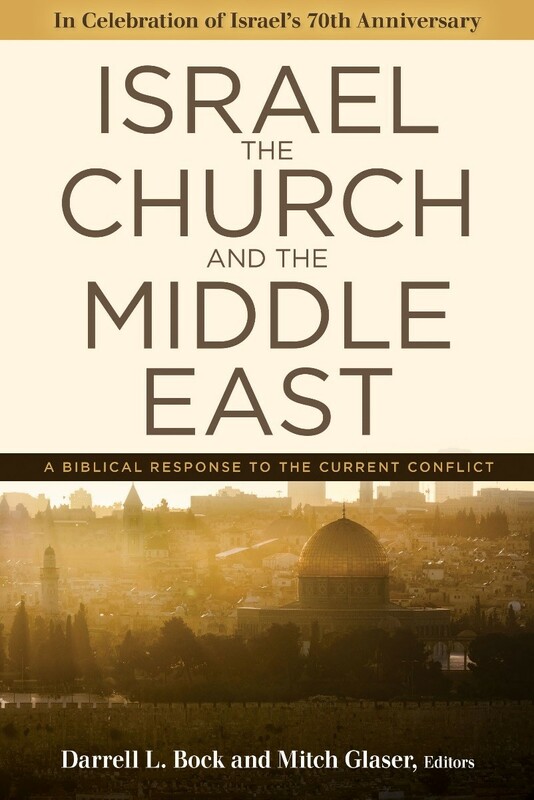 Bock and Glaser, eds., Israel, the Church, and the Middle East: A Biblical Response to the Current Conflict (Grand Rapids: Kregel, 2018). 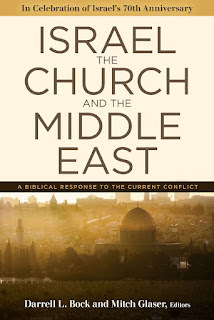 Israel, the Church, and the Middle East (ICME) is a collection of mostly essays (one section contains the results of a survey and another a statement from the Alliance for the Peace of Jerusalem) that challenges the idea of supersessionism is presents a positive case for Israel’s distinctive eschatological future and how that might or might not relate to the modern nation of Israel. The issue is a timely one both theologically and geopolitically. Ironically, the best place to start is probably with the final chapter, which contains Darrell Bock’s summary of the previous chapters. This provides a good orientation and distillation of the main points for the various essays that are grouped into four sections: (1) Biblical Foundations, (2) Theology and the Conflict, (3) Yeshua in the Midst of Crisis, and (4) Current Challenges to Peace in Israel. The most compelling and convincing arguments against supersessionism, or put more positively, the case for a distinctive eschatological future for ethnic Israel, is probably put forward exegetically in the chapters by Yarbrough and Blaising, hermeneutically by Rydelnik who argues for a consistent interpretive approach in both Testaments, and historically by Vlach, who notes that the “restorationism” (“national Israel remains theologically significant in God’s plans”) is neither new nor uniquely dispensational (pp. 119, 134). The question of how or if modern Israel fits into a restoration matrix is addressed in sections three and four. Bailey asks and answers the question, “Should Christians support the modern state of Israel,” with a nuancing that is too often lacking from both sides of the debate. And kudos to editors in general, and Brown in particular, for not avoiding the thorny and controversial “two-state solution” that many see as the most viable way forward in the Middle East. Balance is also exhibited in the fact that though the essays are decidedly in favor of a distinctive eschatological future for ethnic Israel, Jews generally, and modern Israel specifically, are not given a biblical, ethical, or political “blank check.” This is evident in Averbeck’s call for Jewish acceptance of the gospel and Bock’s caution against an ethically blind “nationalism” and his call for Israel to seek restoration and justice. But perhaps the most enlightening and challenging discussions for me were the one’s related to the messianic movement in Israel and the Palestinian church. One can see a field ripe to harvest but also fraught with obstacles, misunderstandings, and downright persecutions. Yet, seeing the faith and love of these Christ followers was exhilarating and convicting. In sum, ICME is a helpful entrée for those seeking to better familiarize themselves with the case for what Vlach calls “restorationism.” But it is also valuable refresher for those like this reviewer who are relatively familiar with the issues and arguments. Thanks to Kregel who provided the free review copy used in this unbiased review. One can access an excerpt here.